Since August, I have quilted 3 holiday quilts for a lady. I'm kinda peeved because I cannot find the Thanksgiving ones, but that is another story! 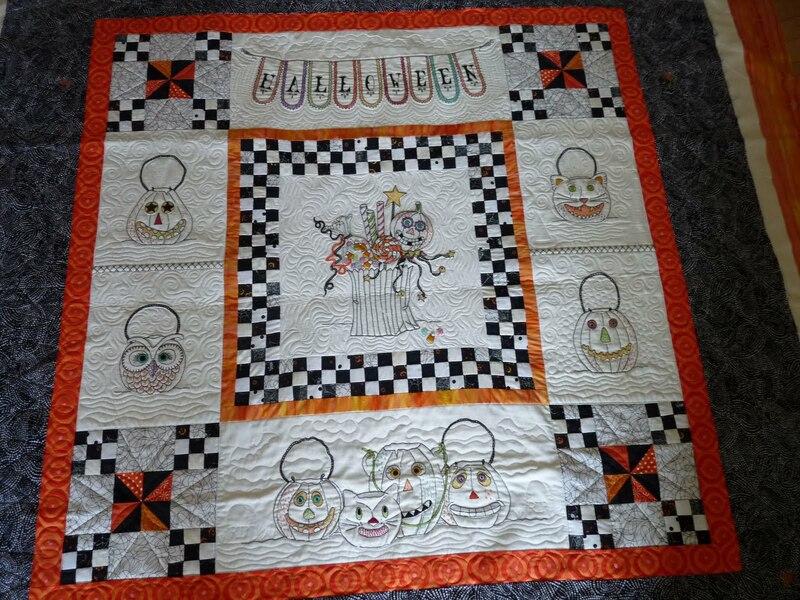 Here's her first quilt - Halloween. It is a lap quilt in which she embroidered the hell out of it. I haven't the skill or patience to embroider like she did. Just look at all those french knots??!! And the Christmas one I did more recently. It's only a 24" wall hanging, which is not quite finished. She still needed to embellish the embroidered snow flakes with seed pearl beads. Sophie is at preschool this morning. The boys and I are home doing a little cooking and a little of nothing. I have the boys making their "thankful turkey". One is doing this much more willingly than the other, but the turkey is cute. The less cooperative one with his feathers & sentiments was overly helpful with the mechanical things we pulled from craft drawer for attaching the feet & feathers. I guess all things even out somehow, though I am not sure wat it says about our upbringing when one of the 4 things he is most thankful for reads "I have a good DS"! My younger boy did me proud though...look at the bottom right feather. It reads " We have wrm qillts" (translated "We have warm quilts!"). I made a Pumpkin Pie crunch cake that truly is to die for. I had this last month at the Handi Quilter retreat in Utah, and they gave us the recipe. It's painfully easy, and I can hardly wait for it to cook so we can dig into it. This won't wait until tomorrow! My mom is making pies, so we only need a little of this to bring. Hopefully there will be that much of it left! My house is wafting with this delicious scent. If you are dying to make something that is untraditionally traditional (and I do because pumpkin pie is not my absolute favorite), then here's the recipe. Mix above ingredients together. Pour into greased 9x13 greased pan. Melt 1C butter. Sprinkle 1 yellow or white cake mix over the pumpkin pie mixture. Sprinkle with 1C chopped pecans. Drizzle butter over cake/nut mixture. Bake at 350 for 55-60 minutes. Cool & eat. In my spare time (if you know me, you ought to be laughing & choking right now!) I have finished piecing the outer border of this quilt. It is currently 73" square, give or take a little. I was awaiting an order which had the backing fabric and more black, since I ran out last week. I think I may add another 2" of black around the outside to ground the outside of the quilt better. Or maybe not. It's not like it needs to be any larger since I don't really know what I am doing with it anyways! I still have one corner to revisit and modify the squareness a little bit. It has areas because of the heavy piecing that will definitely take a little manipilation while quilting, but I am hopeful that it will quilt well...if only I knew what to do with it!!??!! Here is my other experimental quilt - ha ha. It is smaller, and I don't intend on it growing much. It's maybe 45" square. I had originally thought I'd applique butterflies and or dragonflies onto the corners & center of the quilt to help fill in the background some. I am sort of leaning away from that. I want to bring another color in. It needs a punch - something to awaken the senses. The green & purple are nice, but they are simple & refined. It needed something to bring it to life. Whether or not I have found that is the question of the day! Gold & orange are perfect complimentary colors for both green and purple. I have appliqued some shapes that will resemble a morning glory flower. Now, I know that morning glories are not these colors. I have that issue covered. I did a little research and these look like a nasturtium flower, sort of - or at least in their color selections. They are a low climbing-style flower. I am on the fence about whether adding these flowers to the applique is the right direction. It needs an accent color, but is this too much? They will obviously have embroidered stems, tendrils, and maybe a few leaves from a brighter green too. The other thing I am planning is to accent the flowers with colored pencils (there is a technique that makes this painting permanent) to make them look like the real flowers, and then small seed beeds will be added to the flower centers. What I did below is an approximation of how it will look. I have ordered a dozen gold, brown and orange pencils and will not get them until next week sometime. The flower will get similar accenting with the quilting, but it needs color deepening and shading as well, which the pencils will provide. This is a client quilt from a few weeks ago. We'd hoped to do a custom quilting, but when I realized that the backing was busy, the client and I decided upon a simpler style (rather than have lots of busy ivory threads on the red backing). 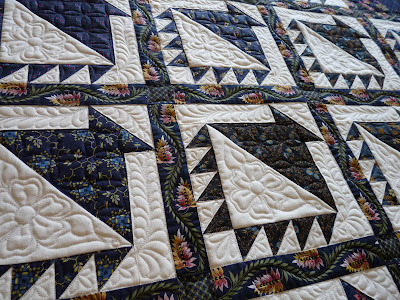 The body of the quilt is a panto, and I did a meandering feathered border in the ivory. 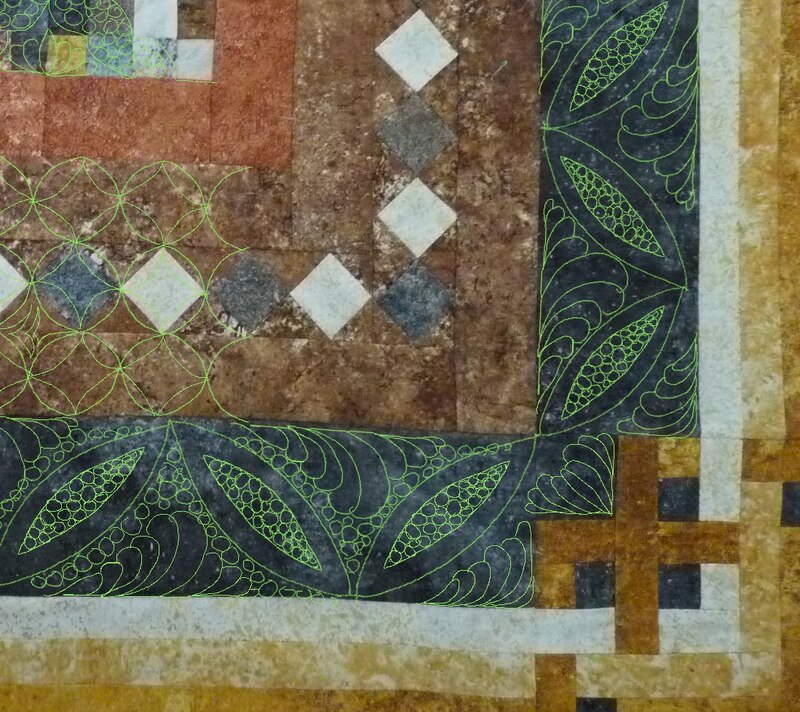 This was a nice compromise since the quilting on the lighter areas shows so much more than that on the pieced body. My week will probably not be overly productive considering the kids only have 1 more day of school, and we have committments Thursday and Sunday. I'll have to prep plenty of hand stitching to do so I can bring it with me. Have a fun one! Hard to believe it is late November, and that Thanksgiving is nearly here. OK, let's be real - Christmas is nearly here. I saw nasty white flakes falling from the sky (OK, there were only a few and much of the sky was still blue, but still...it was snow, which only means that winter is coming). The week flew by. I managed to spend much of it working on house plans. I seem to have a trap door, whereby everything and every odd job seem to fall. 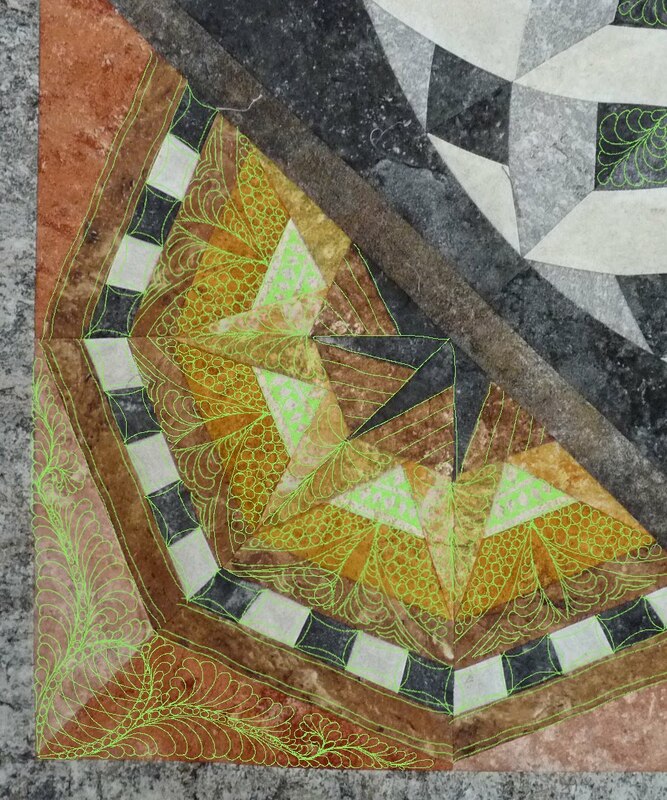 Quilter, mother, teacher, launderer, occasional housekeeper, groundskeeper, present shopper, and more lately -- draftsmen, new kitchen researcher, and patio deconstructor. The last 3 tasks are going to be my demise. You see, we are officially having our house remodeled next spring. The estimate came in good, but it omits several things which have fallen into my lap to "look into". We have to remove our patio and walkway pavers (there's only about 2000 of them if I remember!) before the real snow arrives. Who knows when that will be, but we have definitely had appreciable snow in November before. I need to visit a draftsman to get certified prints made, but I have to generate the "plan" and gather all pertinent dimensions first. I designed and built a house 20 years ago, and as an engineer, I certainly know how to make basic blueprints. I just refuse to do this task because I don't want to relearn the codes and how to do appropriate electrical/plumbing and structural prints. The draftsman will get my desired and our "as is" floor layout, and he can do the rest. Sophie and I went to a kitchen showroom yesterday to look into countertops and cabinets. It's all so fun I just want to turn into a bear and hibernate until spring. Just imagine how sarcastic I will be in 3 months when I am packing up my entire downstairs! So, today I had a little longer than usual to quilt because Sophie stayed at preschool longer for a Thanksgiving feast. I got to quilt two quilts that a local gal brought me recently. These are both from the Siggy swaps that were going on recently. 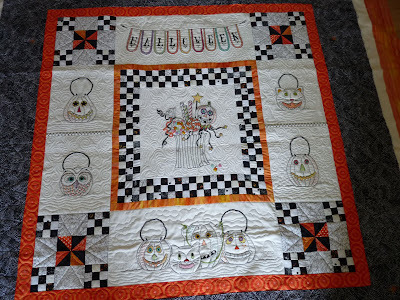 I love her chosen layouts - they really give the quilts personality. Though I saw these swaps months ago and wondered who would want a quilt with 100 names on them, I had fun picking out people that I recognized from my variety of swaps - both swappers and hosts alike! The quilting is simple because the quilt and fabric layouts are the focus. I do love what she did on the backing, but I will probably cut off a finger to get another bias-cut backing :-)) The diagonal stripes are fantastic, especially with this quilt, but they really should be constructed on-grain and with HST's. Lessons...there are always lessons to be learned in this craft. Here's the second quilt. It's a bit larger than the other one, and also in the rainbow setting, with siggy blocks spaced by the 4x4 blocks. Really effective layout, again. SO, time for me to use my remaining afternoon to do some xmas work. Have a warm (ha!) weekend. Seems that I have been a bad swap girl lately. I kind of let my monthly block making slide when things got really busy last month. Over the weekend, I pulled out the packages to discover that there were blocks due from September - gasp!...I got busy. I don't know who each is for, or which month or even which specific swap at the moment - just have pics to show. I despise making modern-style blocks. The strips that came were all the wrong lengths or widths; I nearly ran out of fabric. I hope that these play well enough with her others. These are 2 8" strings made from vintage sheet fabrics. Here's a 24" nice and simple HST block. 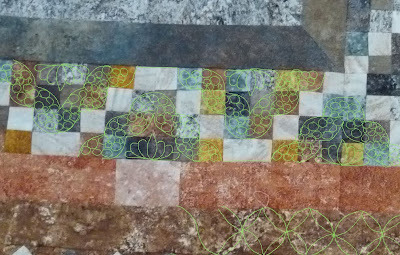 Over the last year I participated in the Quilt Block round robin on Flickr. It is a good group of ladies I have swapped with several times/years before. It all was going well until Lynn decided to steal 3 or 4 packets of people's blocks, and not send them back. I consider myself lucky to have gotten mine back. Clearly, I chose trees. They were all supposed to be done with a white or tan background, but I think it will be fine as is. Maybe next year I'll get this assembled as a Christmas quilt! Or maybe I will just sell it - who knows! 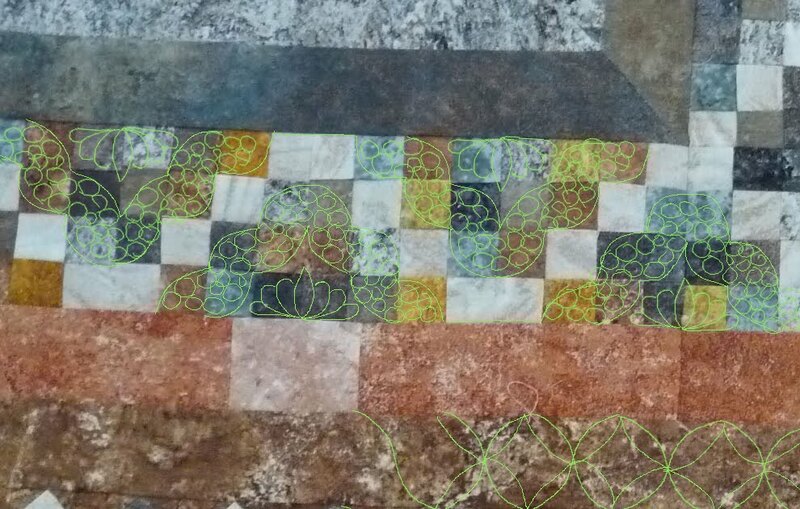 And alas, a glimpse at the last and simplest border that is being assembled for my Italian floor quilt. I seriously thought that this would take me no time whatsoever. Again, I am the idiot. Underestimation ought to be my middle name. I have all the parts assembled - 4 corners, 260" of that striping, and 4 of the mini checkered units. It was all great until I discovered I was short a few inches of that damn black fabric! It is currently on order, along with some nice 108" wide backing and I will put this aside for a few days and focus on more pressing issues. Like Christmas, or a couple client quilts! Or how in the world I might quilt this beast. So many thoughts, so little time. 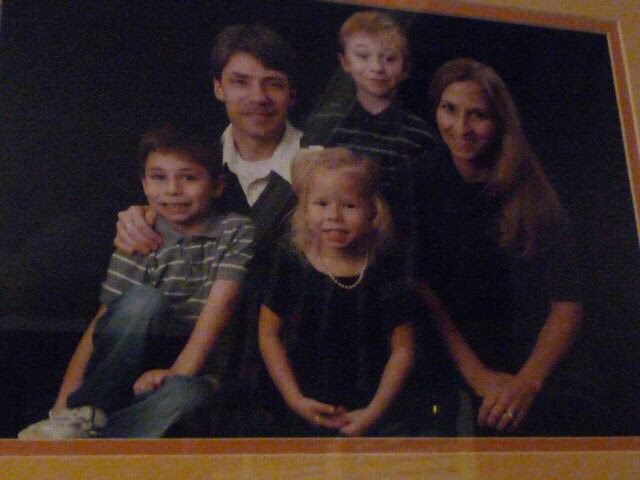 BTW, For the nosey and inquiring minds out there...my daughter's spree of mischevious behavior has not really lessened. I have gotten smarter, though, and at the very least removed her chair and all ointments. Oh, wait, she used all of them up on Sunday. I did find her a little while ago emptying her drawers in search of swimsuits to try on. The mess was manageable, but seriously, I am sick of cleaning up little messes everywhere! My 4-year old daugher Sophie has always been such a sweetheart. She's well mannered, polite, not hot-headed and easliy angered. Just your best kid ever, ya know. You'd never guess from the sweet pretty picture she took today, what she is really capable of (OK, my scanner does not work anymore and I don't think I am supposed to scan this type photo anyhow, so the rotten quality picture was taken as it hangs on the wall!). It is true, my middle child indoctrinated me to the unbelievable things a 4-year old can do when he is bored and mischievious. I always expected him to do those things. I was caught blindsided when she did them! Yesterday at her naptime, I thought she was resting. It was a tad noisy at times, which is not too unusual. She likes to sing and read books and sometimes play with her babies. She's always done these ON her bed though. She was such a stickler to my rule of "Stay in Bed", that it's been next to impossible to get her to go to the potty at naptime. When I went in to get her up (by then she had actually fallen asleep), I found half a box of diaper wipes and tissues everywhere. I found her in this velvet Christmas dress (above pic) that was only out of the closet yesterday so we could see if it fit before pictures today. And I found her with about 1/4 cup of seasalt all over her and her bed, conveniently matted and clumped everywhere with the wipes. Lucky for her, the salty mess wiped off the dry clean only dress easily. It was a royal mess, requiring washing of all the bedding and animal friends, etc. I was mad, but more shocked that she did that. She tried to tell her dad that she didn't do it. It was a pink bear named Sofina who lives under her dresser. Creative. Maddening, but creative. I know, I know, you are scratching your heads, wondering why the Hell there is seasalt in her room. (sigh...) She has a steam vaporizor that was used a month or so ago when she had a nasty cold & caugh. It takes a pinch of salt (so I keep a small cup on her tall dresser just for that). She was tickled to tell her brothers after the fiasco that she got introuble for (just) eating salt at naptime. If only. Today was a different ballgame. She had been quiet during naptime, or so I thought. I have a monitor in my basement studio so I can hear her if she needs anything, and I heard nothing. I thought this to be a good sign. Wrong. At 3:30 I went up to get her up, and was a good 5 paces from her door and I could smell the unmistakable scent of Vicks. You guessed it, the Vicks that we rub on backs and chests when we have a cold. The scent of menthol permeated the upstairs. It was like a menthol factory explosion when I opened her door. You'd have thought that one of the boys might have mentioned the smell. But no. Lord, can they be obtuse sometimes. Oh God, I thought, as I opened her door. She may be asleep on her bed, but this has to be bad. I was so right. She'd gotten into the contents of a basket that used to sit on her dresser. It is gone now! She had slathered 3+ ounces of Vicks all over herself. If that was not enough, as I rummaged through the assorted and squeezed empty tubes on her bed as she still slept, I discovered two tubes of hydrocortisone creme, all gone. Another tube and a half of anti-bacterial ointment. Empty. And the grand-daddy of them all -- two tubes of Desitin, empty and creamed all over her, from her toes to her ears. It was the slimyest, most disgusting, super sticky, greasy mess I could have imagined. I had to bite my lip so as not to laugh or cry. I had to call her dad up to see and experience the utter shock. Just to smell what I smelt was shock enough. He had the joy of putting her into a bath and discovering just how much soap it took to remove her afternoon of mischief. Do you have any guesses?? ?...I'm not exactly sure, but I do know that it is two hours later and she needs a bath. Her skin shines, and she could hardly get her pants on. At least today, Sofina did not come out and get blamed. I wish I knew what has come over her. These behaviors are so unexpected. I remember a few years ago, hearing a story from my sister-in-law about her neice. Little Helen was younger than Sophie when she smeared desitin on the family dog. I never thought that would happen here! I have cleared everything important and medical out of her room. Gone are my great grandmother's stitcheries, and the pottery bassinet that had flowers in it given to my mom when I was born, and to me when she was born. Gone are all the baby blankets I made for the kids, and special photographs. I removed her pearl necklace and a bracelet from Italy. She was my little angel that was capable of having very nice belongings until now. Obviously, the little chair she has used to climb and get things with is gone, as are every possible medication. Gone is my trust! So now that you all have had a great chuckle, I will show a couple things I did this week. Here's Sandy's quilt for a friend of her daughter. It is batik fabrics, but she didn't want the quilting to be a bit formal or traditional. And Kathleen brought me this 123"x104" a couple weeks ago. Lucky for me, she's a master at making her quilts very square or this might have been the nightmare that my daughter's been! I posted on this earlier this week, about my thread dilemmas. The YLI threads I chose worked marvelously! I love how the trilobal variagated poly looks on the top, and it sewed so well. The top is a regular flower garden. My choice of Woodlands pantograph, which is leafy, seemed to be a good choice. I just couldn't stitch flowers on this quilt which is nothing but flowers. 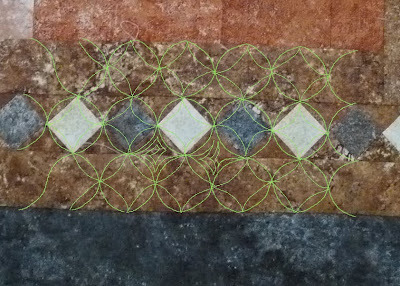 Here's a looksee at the back, where the pattern is more visible. 14 bobbins of 40 wt cotton - that is approx 0.44 miles just in the bobbins! I am trying to keep some stats for each panto so I can better estimate my time to quilt as well as thread usage per pattern. Our Veteran's Day was spent mostly taming the massive amounts of leaves which last Sunday's storm dropped all over everywhere. In most years, the leaves are only on the back yard, where the trees are. This year they were in the front, side and back. 5 straight hours of raking and blowing and cursing. My hands are killing me today, all cut up and blistered. I had to clip back all the flower gardens in order to get the leaves out of the gardens. I had hoped that my mom might come out yesterday and bring the 2nd leaf blower. As soon as she found out my husband did not have to work, that plan seemed to change. Go figure, she thought bringing it today would be just as useful! Good grief. I can use my own leaf blower today...I was hoping to avoid having to rake! I figured that being outside for several hours would make my kids crash in the afternoon. It sure did make me want a nap! My 4 year old had to get into plenty of naptime mischief (nearly 2 hours of it!) before she crashed. What you cannot see is the multitude of things she crashed on top of. She managed to change out of her clothes into her jammies -- somehting she's done a lot lately. There are 3 books beneath her. Two quilts, a blanket and an afghan. There is a giant stuffed lamb, three baby dolls and their clothes. A bear, a few barrettes, and a dress. My list likely goes on, but I didn't want to move her to take this picture. Lisa (AKA miniature quilture) ought to get a kick out of the fact that she's sleeping with her "backpack"...the purse that goes with a dress she sent Sophie this springtime! Too funny. So, while everyone else was getting a good rest, I had to conquer this beast. It is huge, 124"x103". And as you can see, when loaded the longway, goes clear across my machine. I have only quilted one other quilt that was this wide. I know to fear huge quilts! If they are not perfectly square, the issues can magnify quickly. This quilt is prolifically floral and very bright. Thread and quilting pattern selection were a little tricky because of the many colors and patterns already in play. The backing is a sea green floral. It is a little bit unexcpected since the fabric does not appear on the top, nor does the seagreen color, so this played into thread choices as well. Here's the backing. OK, maybe it is more of a mint green. Whatever. What I chose to quilt was the very leafy pattern below called Woodlands. This is the first time I have used this pattern, and I was hoping that I would not really hate doing it since there is so very much of it, nearly 12800 square inches! I really wanted to steer clear of anything blatantly floral. It is already busy enough in the flower department. The other thing I did on this quilt was tame one of the myths about thread which some longarmers have. Some quilters really think that their machine can only quilt one kind of thread. 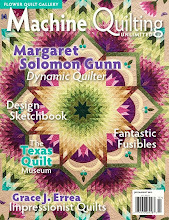 I read things like "my machine only likes King Tut", and "I cannot quilt with cottons" all the time. I gotta admit. I have fallen into the trap of preferring one thread more than others, but mostly just don't take the time to fiddle with tensions sufficiently to get others equally as comfortable. Yesterday was that day. I had this YLI 50wt variagated brown thread and a mostly coordinating YLI 40 wt cotton for the backing. I have used the solid thread for a quilt some months ago with not too much trouble, but the variagated gave me huge fits on a quilt recently so I picked it all out and nearly threw it away. You see, these threads were a gift from YLI after MQX last spring. Free thread, how fun is that! These threads were a very nice choice for this quilt, also somewhat taming the overuse of flowers, so I wanted to use it. I am most happy to say that it has been perfectly fine. I have had not even one thread break, and tension is good!! Yea, yea - delight. ~Every four rows is about 21"
Yes, it does beckon the question of will I have enough thread, doesn't it! I am off and running with a new quilt design to be revealed next year sometime. I am busy working with coming up with a pieced background that will resemble a beach. There will be applique on top of this. I have about 20-25 pieces of a variety of shades of tan-ivory-light brown batiks (yes, I just love working with batiks, especially for the applique work). Now, I don't just want to run these in boring old stripes of graded color from the lightest to the darkest (where they will meet the "water"), so what should I do?? Here's three concepts I have drafted up, but I am looking for any other block suggesitons too (hint). The only requirement is that there is not too much piecing on the background because I want the applique to be the focus of the quilt. 1. wonky 9-patches ...not my favorite, but less expected than perhaps my next possibility. 2. storm at sea layout. 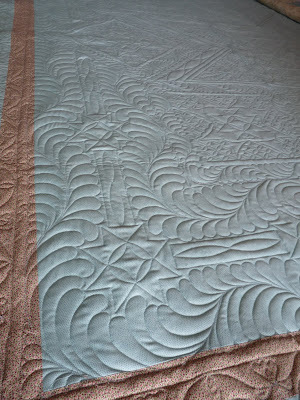 Now this has nice movement, but I sort of think it is the expected choice for a quilt that will have a "sea" motif. 3. kaleidoscope stars...with a few slightly different stars thrown in. I think that this is my inclination thus far, but I'd like to hear your suggestions for other patterns to look at. My fun is over, at least for a little while. I got a lot done on both of these recently. My daughter did a sleepover at my mom's last weekend. Unfortunately I had to accompany her because she was too scared to go alone. Imagine that! So I was delighted to an afternoon of hand stitching. I also had some additional time during the day while my class took a test last week to sew on leaves. I have one leaf to add, nearly 75 more grapes (sigh!) to make/add. Then some of the other shape leaves and some embroidery... and the list goes on. Oh, did I mention some butterflies and dragonflies and a center something?? But I am starting to see the design I envision here, and am already thinking about how I might quilt it. I played hokey from other committments from Friday until now (with the exception of yesterday, because our power was out from a hard storm!!). In that amount of time, about 7 hours I'd guess, I pieced the outermost border. It was easy to piece, but it was a bit finicky to adjust to get exactly the right lengths. This is a busy little quilt, if I do say so myself. I suspect that the last 7.5" of border will definitely calm and ground it a bit, as it is much simpler and has much black fabric. I seriously have no idea how this will be quilted! There are so many areas of very small pieces (yea, lots of those "What was I thinking?" moments). I am contemplating a small rope border somewhere. Have any of you longarmers used the rope templates?? Are they easy to use? In the meantime, I need to get some thread on order for both of these quilts so it is here for when I plan to quilt these in Jan-Feb. There's definitely a lot of colors to choose from! I also need to get some backing fabric ordered. I am waffling between a solid color and doing something more artistic with minimal piecing (just fearing that I won't be able to center it perfectly though!). Now, I have a lap quilt, and then a monster king quilt to do before I can get back to this quilt's last border. As a longarmer, I have seen the gamut of tops and backings this last year -- nearly 100 or more. Every quilt is unique and made with tremendous care. The quilt is sent off to me to quilt magic into it. But I find it most unfortunate when a quilt arrives and the backing just makes me roll my eyes. Backings are more than just a piece of fabric. The selection of the backing needs to be made with as much forethought as is used in selecting the fabrics for the top. Some quilts are perfectly fine with that pieced conglomeration of scraps that seems to be completely in vogue right now. Other quilts, however, look messy. Some types of quilts look great with a very busy and bold print for a backing, while others really need taming with a more solid backing. What I want to try and decode is how to select a backing for the top you have, and for the end result quilt you desire to have. Because, as I have said many times before, All backings are not created equally. 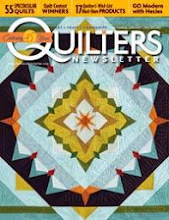 I am going to show several quilts here. Some have backings that I believe could have been better selected. If I happen to show your quilt, it is not to be perceived as an insult. Everyone wants to know the magic behind a better selection, and sometimes seeing differing examples helps. I'll be the first to tell you all that I love the quilts I have chosen to show here. I just might have made a different choice in picking a backing. This first quilt is actually my quilt. It was a donation, and I was very rushed to finish it. I was also trying to make it on the cheap, so I did not want to buy any additional fabric. As a result, the back is unsightly. I knew this going into the quilting. But...I still chose to custom quilt this quilt. I chose thread colors of black & white, with like color bobbins. 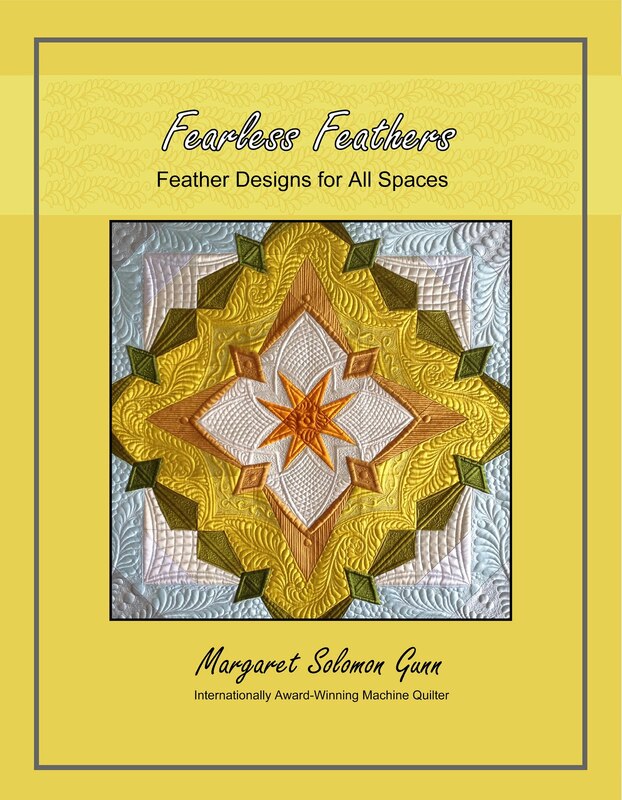 As you can see, there are areas of dense quilting, feathering, pebbling, etc. The back is partially this black and white and red print (below). To me, this is too busy to handle any custom quilting. But you already know my rationale for using it. I just did not care. But it is obnoctious to look at. Agreed? Yes, agreed. One thing I do, as many other quilters, we would not use a black bobbin with a white top thread for fear that any tension mismatches would show. That is the only thing that would have made this back look better. Another area of that same quilt had a red stripe of this pig fabric. Again, too busy to support intricate quilting. How should I have quilted it, you wonder?...I don't think that I should modify the quilting design, but I do believe that a solid red or white or black backing would have showed off the quilting better. 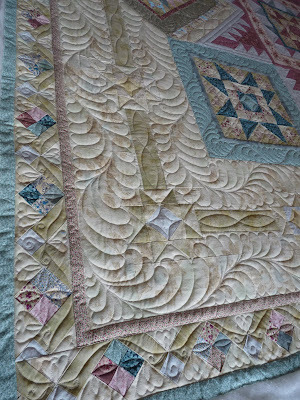 Moving on to another example...This is an absolutely gorgeous quilt, and she requested custom quilted, which was stitched in ivory and green threads (with matching bobbins). The backing that was provided with this quilt, though a nice match to the fabrics, was overly busy for custom quilting. 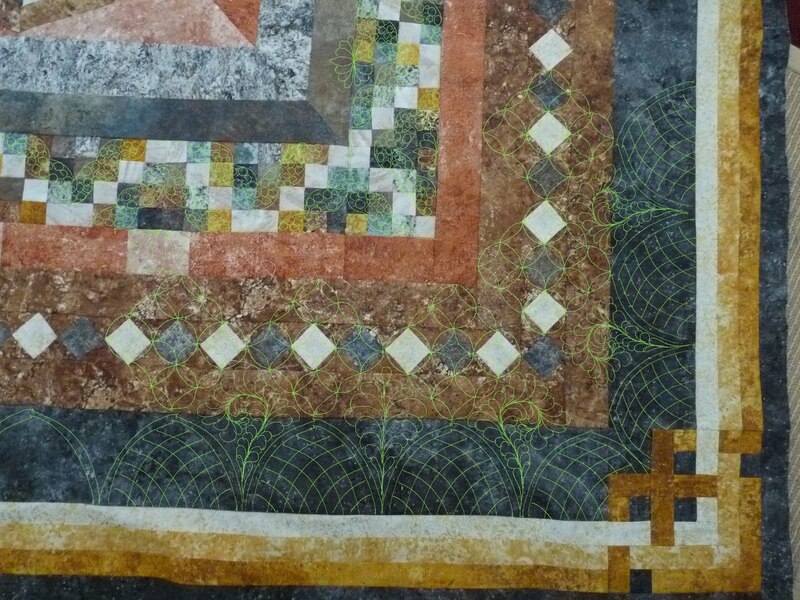 When you custom quilt a quilt, you want the patterns and textures to be able to show on both sides. I really dislike when the stitching interferes with a pattern. How would this have been done differently? 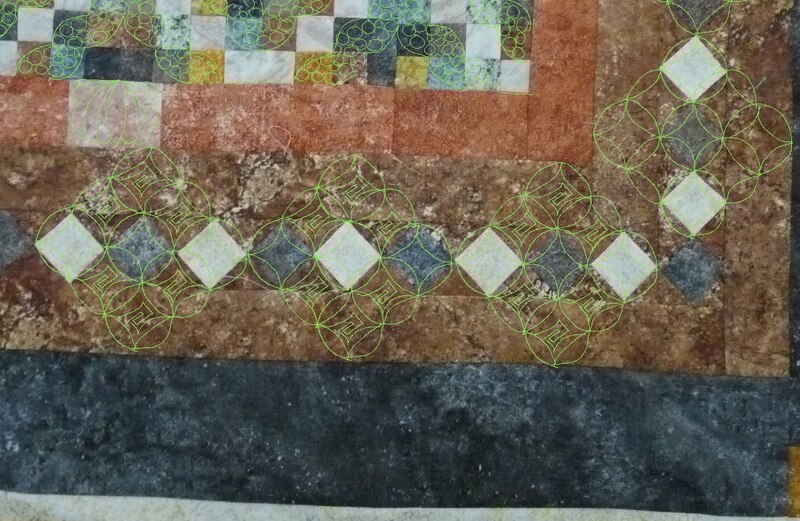 For a custom quilting, I'd suggest selecting a backing that is much less printed. I'm not saying a solid is a necessity, but the coral polka dot from the front or a mottled-type solid would work nicely. It would have made it definitely a 2-sided quilt. Last example of busy backings... Another very pretty top, and the backing chosen was a coordinating print from the same line of fabrics (next picture). The custom quilting definitely makes the quilt (from the front anyways). As I mentioned before, the white areas where I have done flowers and feathering have a white bobbin. Blue quilting has a blue bobbin thread. Imagine how this quilt back would have looked with a deep ochre backing or a medium sage/olive (like the leaves in the prints)? It just needs a calmer backing fabric, and not on one end of the color spectrum because the way it is, only the contrasting thread shows. You want both the navy and the white threads to show to get the full effect of the custom quilting. Selecting a purely blue backing makes only the white quilting show. Likewise, a pale backing would only make the blue quilting show. Choose a mildly printed or solid somewhere in in between these colors, and then both colors of bobbin show, and suddenly you have a 2-sided beautiful quilt! What is the dominant color of the top? What color do you think that the top will be mostly quilted in? I may have suggestions to this, but you need to consider it when selecting the backing if you have not consulted the quilter first. 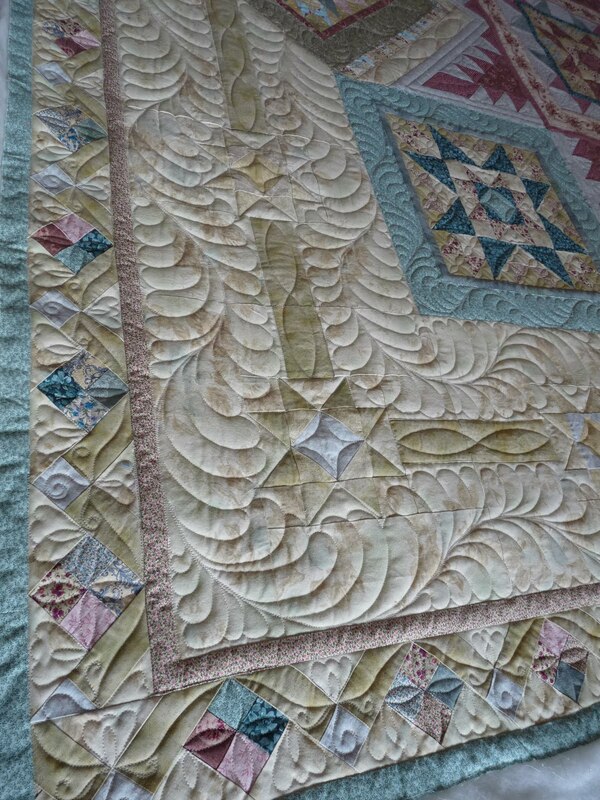 Obviously, this quilt is largely green, and the thread chosen was selected to blend with the border. It actually blends with the sashings pretty well also. Here's how the back turned out. It is all texture. ALL texture. No visible thread lines, as you'd have if this were, say a red backing. From more than four feet away, it appears to be a solid. But as you see below, it is clearly not. It's a small print, in the same tone as the body of the quilt, and in the same tone I expected the thread to be in. Another logical choice for backing would have been the green of the border. If a red or burgundy tone were chosen, they would have matched the top nicely, but the quilting would have been anything but subtle. We would have exchanged a textural look for lots of visible stitchings. This is not a look I prefer. 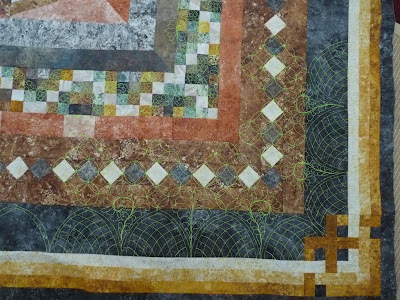 This one has a nice background sandy-tan print, and tone-on-tone piecings in this same color. I knew when the backing was chosen, that a tan thread would be used on much of the quilt. I used another color for the aqua featherings. What I chose to do on this quilt was to use a small print aqua for the backing. It is a dimples print, but from 5 feet away, it reads as a solid. I'll be honest, when I chose this backing, I wasn't at all in the mode I am now of really thinking about backings, thread colors and how the quilting will "read". I knew I did not want to see tan bobbin threads on this backing so I used a pale aqua 60wt thread in my bobbin for the entire quilt. I very rarely mismatch top and bobbin threads, but did in this case. If I had this quilt to do over today, I probably would have chosen a sandy-tan colored backing instead. 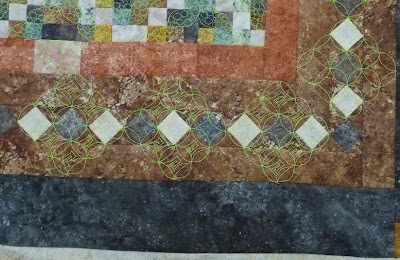 I prefer to see the backings of quilts as textural rather than a spider web of stitching lines. Here's a quilt I recently finished and posted about. 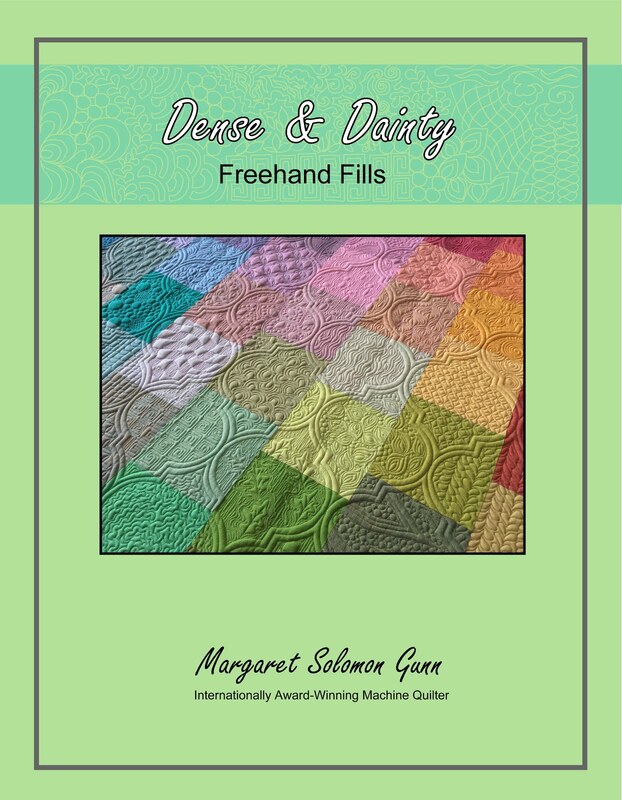 You have heard some of my mis-adventures with quilting it, but the issues started from the day I opened the box. The quilt is made from rather luscious Cherrywood hand-dyes. It is soft and colorful. 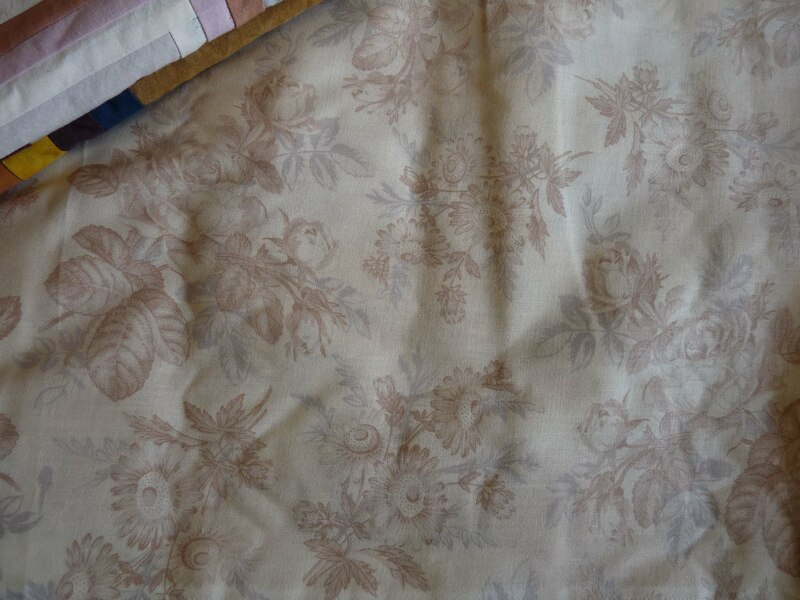 The backing that was originally sent with the quilt was a kind of hideous (OK, mind you, that is my opinion) floral. It was not a soft print, and I could see right away that there were going to be issues with how the back of the quilt was going to look. I knew, without a doubt, there would be a lighter tone of thread as well as a rather deep tone. Where this is a show/raffle quilt, I also knew that I was not experimenting with a different bobbin thread. I just did not need one more issue that can potentially come from tension mishaps. Now, I can tension my machine nicely, but we are all succeptible to mis-tensions now and then and they would not look good on the front or the back of this quilt. Lucky for me, when I approached the recipient of the quilt, she willingly agreed to my suggestion to order a new backing from the Cherrywoods. A few weeks later, 6 yards of ochre fabric, which is a tad darker than the border of the quilt, arrived. Having a very solid fabric can cure one issue of not having a busy quilt back, but it also has a way of showing everything you stitch, good and bad. I would much prefer to have this backing, but for the newer quilters, it can also be a bit daunting. I just hope you can see how much more attractive this quilt is (below) finished with a mottled solid back rather than the floral. It totally lets the patterns and textures show. Now, I have done a lot of rambling about backings, and in retrospect it almost looks like I am saying that you ought to go with a solid backing all the time. But that is not the case. You need to be the judge of what will be best for your quilt. 1. 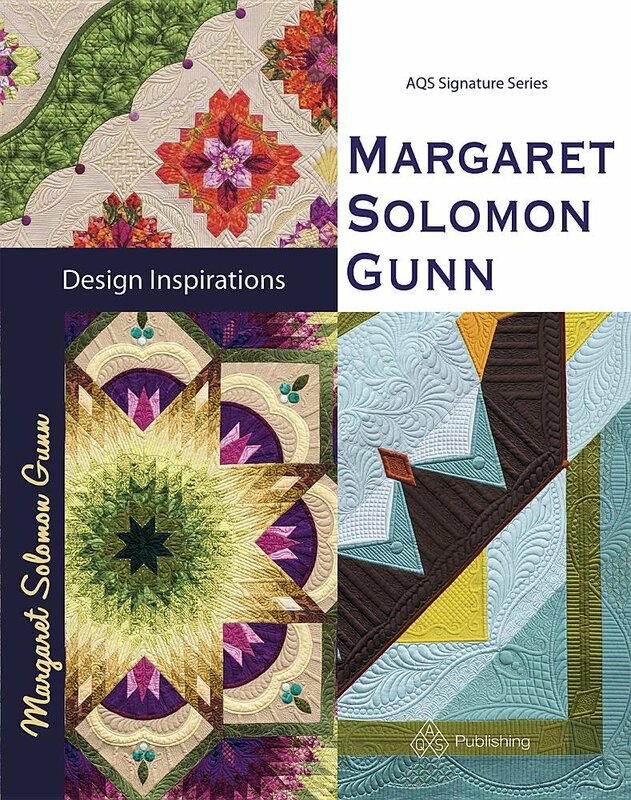 Do you want custom quilting or an all-over pattern? Many all-overs look just fine with busier prints and threads selected to blend on the back. For me, the exception is when the top has white or ivory thread, then I generally prefer the light thread regardless. 2. If custom quilting is desired, consider the thread colors that may be used to accentuate the top's piecing, and select a backing that is neither of these if several colors are involved, or if just one color thread is expected, then I would probably choose a backing closer to this color. 3. If you have intricate piecing on your top, then you probably don't need excess busyness on the back in terms of pattern or visible thread colors. 4. Saving those busy coordinating prints for another quilt top, rather than feeling that they really need to be on the backside of your quilt. Something more understated will usually come across as more elegant, and will allow the quilting to take center stage. 2. No thin cheap fabric. This is harder to tension properly. Put as much effort into the back as you did the front. 3. Do not overpiece the back and expect more than minimalistic quilting. It just becomes too busy. Furthermore, nice custom quilting is hard when there are seams in unpredictable places. You can make your quilt double-sided without piecing the hell out of both sides. 4. 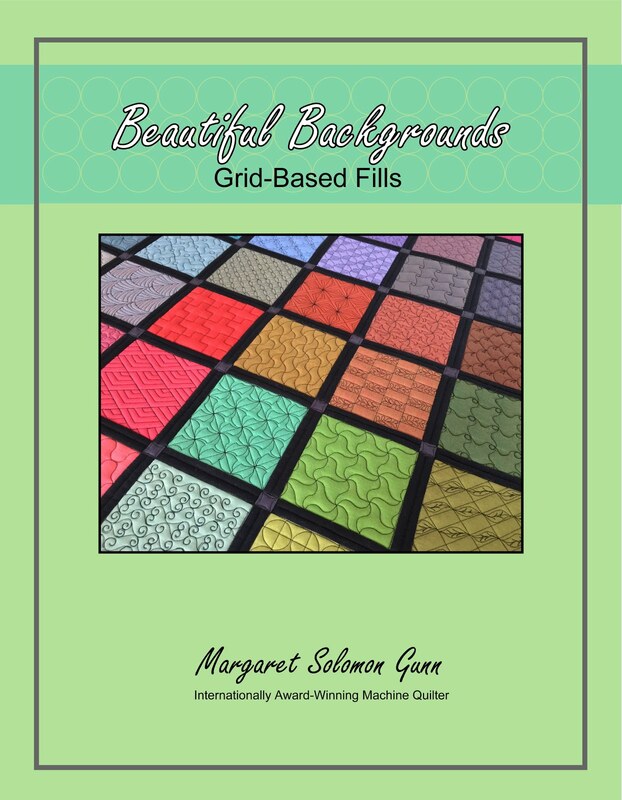 Use solids, small tonal prints, mottled prints for backings when custom quilting is desired. 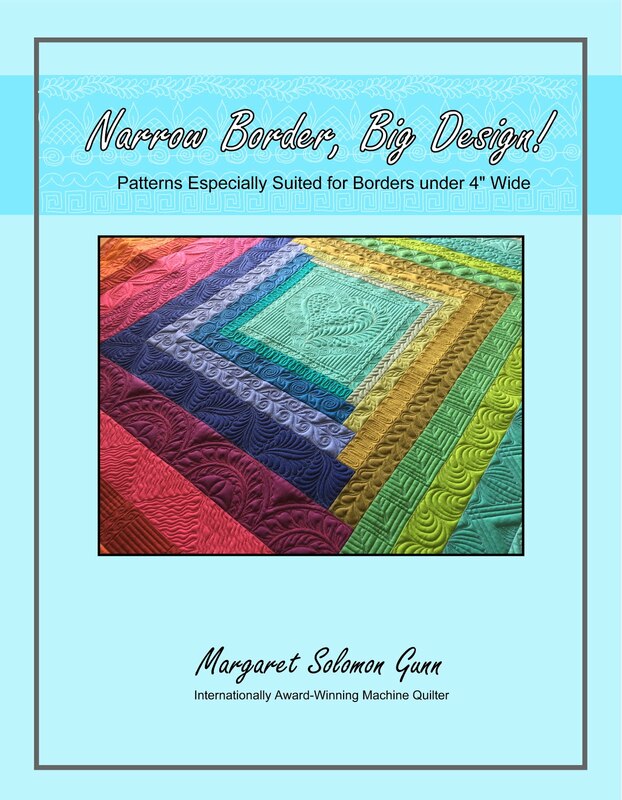 Save the bolder prints for simpler quilting schemes. 5. Many believe that batiks are inappropriate for backings. I have used them successfully, and have created several lovely quilts. I think that the secret is in selecting a small needle. Now that you have seen my overly opinionated beliefs on backings, I welcome your thoughts. And as I said, I only selected the quilts I showed here because they truly are lovely. The backings are lovely (just not the greatest choice for a custom quilt).